As an instructor, you can choose to enable the Student Learning Mastery Gradebook (if allowed by your admin) and let students to see Learning Mastery scores on their Grades page. All Outcomes in the course appear in the student view. 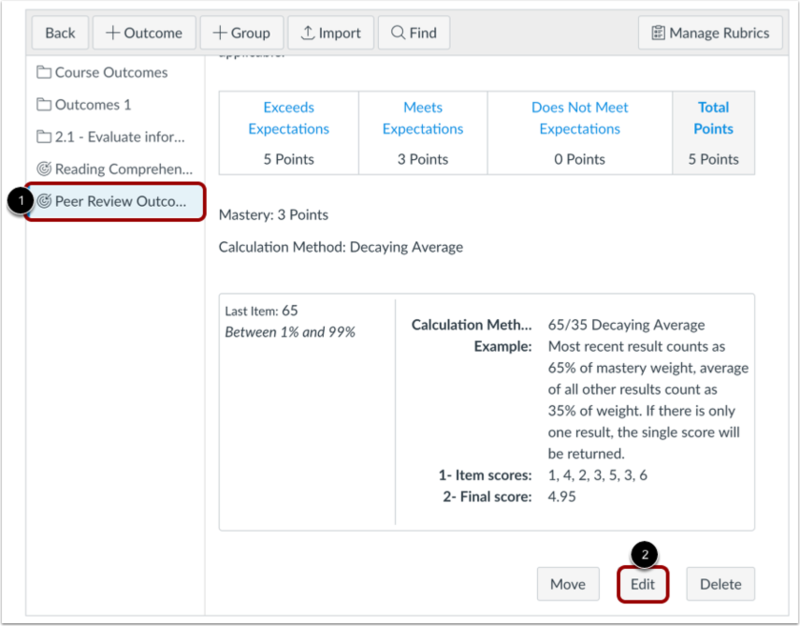 However, some official outcome names may be difficult for students to understand, so when creating outcomes at the course level, you have the option to create a custom, or more friendly name, to appear for students. This separate name field allows you to keep both the official name of the outcome as well as create a friendlier version that is more helpful for students. Note: Creating a custom name is a course permission. If you have access, you will only be able to create friendly names for outcomes you create within your course. You cannot create custom names for outcomes created at the account level. If you want to create a friendly name while creating a new Outcome, click the New Outcome button. Enter a name for the outcome in the Name this outcome field . This is the name of the outcome that will also appear in the Learning Mastery Gradebook. To create a custom outcome name for students, enter a name in the Friendly name (optional) field . If you want to edit an existing outcome and add a friendly name, locate and click the name of the outcome . Click the Edit Outcome button . You can only edit outcomes that have not yet been used to assess a student. If the Edit Outcome button is grayed out, you cannot edit the outcome. 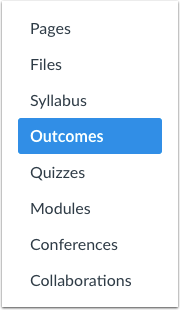 Note: Your friendly name will not appear as part of the Outcomes Index page. Previous Topic:How do I edit or delete an outcome group in a course? Next Topic:How do I move outcomes and outcome groups in a course? Table of Contents > Outcomes > How do I create custom course outcome names for students?